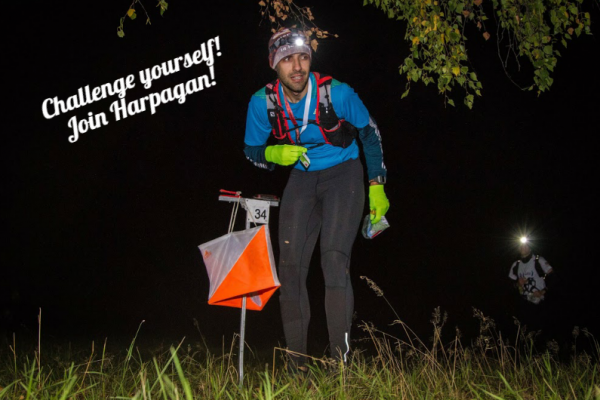 “Harpagan” Extreme Orienteering Challenge is the biggest orienteering event in Poland. It takes place twice a year: in April and October and it has been so since 1989. The motto of the Challenge is “We know ourselves only to the extent to which we have been tested” (Wislawa Szymborska, Nobel Prize laureate). Over 1000 participants, among them the best Polish ultramarathoners, face the distance, map and their own weakness, regardless of the weather. Each time, the headquarters of the Challenge is located in a different city of Pomeranian Voivodeship and most of the competition takes place in woodlands. The checkpoints are confirmed by electronic Sport Ident system. Every participant, who completes any of the Harpagan Classic routes within deadline, is awarded with the “Harpagan” Title. The term “Harpagan” describes a person who is vivid and full of energy as well as slightly mad and furious at the same time. Want to participate? Click and join us! Medals for everyone at the finish line! Global navigation satellite receivers (incl. smartphones) with any maps installed are strictly forbidden. You can use your GPS/GLONASS receiver only to obtain distance/speed or record the track. Also any support (transportation, extra food/drinks) given by third party is not allowed. Write an e-mail: biuro@nullharpagan.pl. We’ll answer as soon as possible! 2b. Pay just before the start at the headquarters (late fee) – cash needed!